​Environmental sensors are used with security systems for the purpose of detecting certain environmental conditions. These conditions can include flooding, extreme temperatures, fire, or the presence of life-threatening carbon monoxide. 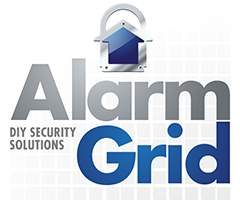 Purchase your environmental sensors from the Alarm Grid website. The term “environmental sensor” is somewhat of an umbrella term used for identifying a device that detects certain environmental conditions. These conditions may be life threatening, as is the case with a fire or carbon monoxide. The condition may also be likely to cause serious property damage, such as freezing temperatures or flooding. Regardless, having environmental sensors inside your home or business is always a good idea, as these devices can properly alert you and the people around you to a very serious situation. They are great for any alarm setup. When thinking of environmental sensors, there is quite a bit of crossover with life-safety devices. Two of the most prominent life safety sensors - smoke and heat detectors and carbon monoxide detectors - are considered to be both life safety sensors and environmental sensors. They are regarded as environmental sensors due to the fact that they are used for sensing certain environmental conditions. However, as life safety devices, the should be included in any home or business. We offer multiple types of these life safety environmental sensors. For example, the Honeywell 5800COMBO is unique in that it includes smoke, heat and carbon monoxide detection all in one single device. We recommend checking the compatibilities of any smoke detector or carbon monoxide detector to make sure that it is the right device for your needs. Another type of environmental sensor is a flood sensor. These devices are designed to catch leaks before they cause serious damage and flood out your house. Once a flood sensor activates, it will send a signal to your alarm system to let you know of the trouble. This way, you will be able to respond to the situation as quickly as possible, potentially before any serious flooding occurs. If you have your system set up with an interactive service, such as Total Connect or Alarm.com, then you can choose to receive an email and/or text alert whenever the flood sensor is activated. This can be great for catching a flooding problem while you are away. Temperature sensors are another type of environmental sensor. These devices are particularly useful for catching freezing temperatures caused by a broken heater inside the home.These low temperatures can cause the pipes inside a house to freeze. This can obviously result in some very serious damage. A temperature sensor will detect the problem before the temperatures drop to dangerously low levels so that you can intervene before any real damage occurs. Environmental sensors can either be wireless or hardwired. Either type can be used with a security setup effectively. The major difference is how the sensor will be installed with the system. Wireless sensors are generally easier to set up and program with a panel. However, a wireless receiver will be needed if a wireless environmental sensor is being used with a hardwired panel, such as a Honeywell VISTA System. Hardwired environmental sensors on the other hand will require that a wire be run from the sensor to the security system.